Safer trips to school is the goal for Swanton officials, who recently applied for Safe Routes to School funding. The Village of Swanton, in conjunction with Swanton Locals Schools, is seeking up to $388,600 to make the walk or bike to school safer for area students. 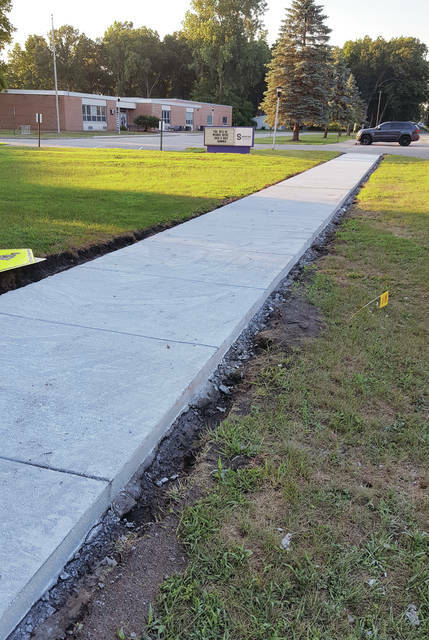 “In conversations with Swanton Local School District, and to an extent, St. Richard’s School, the village felt there was a need to improve various avenues: sidewalks, signage, and education,” said Rosanna Hoelzle, Swanton Village Administrator. “At the stakeholders meetings the most important topic discussed is the installation of sidewalks where none currently exist. Funding has been requested for sidewalks in three areas – two near Swanton Elementary School and one near Swanton Middle School. Near Swanton Elementary School, the plan calls for new sidewalks on Crestwood Drive from Brookside Drive to the school, and at the east end of Church Street where there is currently no sidewalk. There is also the potential for a sidewalk on Elton Parkway near the middle school. Improvement at the railroad crossing are also a possibility. Near St. Richard School, funding was requested for bike lane improvements on Brookside Drive and enhanced crosswalks at N. Woodland Avenue and N. Fulton Street. Chris Lake and Hoelzle presented their case for the infrastructure measures, and Emma Kirkpatrick, of Maumee Valley Planning Organization, presented the non-infrastructure measures. Possible improvements near the high school, such as new sidewalks, were not included in the funding request. “Safe Routes to School funds can only be used for improved safety for elementary and middle schools, and therefore anything leading to the high school could not be included,” said Hoelzle. Though the request was for more than $300,000, there is no guarantee Swanton will receive that much if approved for funding. The last time Swanton applied for Safe Routes to School funds, money was approved for mostly signage but none of the infrastructure improvements. “The hope is the community will receive some funds but we will not know for a couple more months,” said Hoelzle. Funding was also requested for non-infrastructure elements such as Safe Routes to School lesson guides, railroad crossing safety posters, Walk and Bike to School Day items, and Student Safety Patrol items. Safe Routes to School funds can only be used for improved safety for elementary and middle schools, and therefore anything leading to the high school could not be included. Overall, the Safe Routes to School Plan will be a good tool to help improve safety for children in the community. If funds are granted, that would be a tremendous help for the initiative.